Exploring fluency from multiple vantage points that together constitute a cognitive science perspective, this book examines research in second language acquisition and bilingualism that points to promising avenues for understanding and promoting second language fluency. 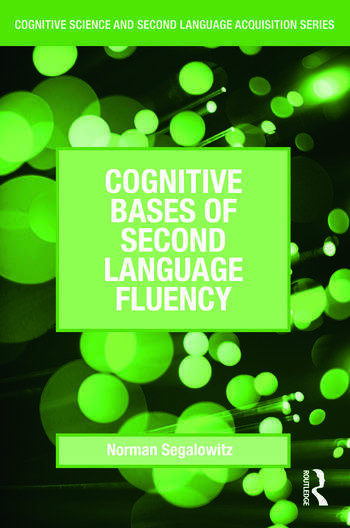 Cognitive Bases of Second Language Fluency covers essential topics such as units of analysis for measuring fluency, the relation of second language fluency to general cognitive fluidity, social and motivational contributors to fluency, and neural correlates of fluency. The author provides clear and accessible summaries of foundational empirical work on speech production, automaticity, lexical access, and other issues of relevance to second language acquisition theory. Cognitive Bases of Second Language Fluency is a valuable reference for scholars in SLA, cognitive psychology, and language teaching, and it can also serve as an ideal textbook for advanced courses in these fields. Preface. Chapter 1: Fluency, second language acquisition and cognitive science. Chapter 2: Measuring second language oral fluency. Chapter 3: Fluency in general cognitive processing. Chapter 4: Second language cognitive fluency. Chapter 5: Social, attitudinal and motivational factors underlying second language fluency. Chapter 6: Widening the interdisciplinary scope: neuroscientific, formal modeling, and philosophical issues in second language fluency. Chapter 7: Toward a cognitive science of second language fluency. Recommended Readings. References. Norman Segalowitz is Professor of Psychology at Concordia University in Montreal, Canada, and the Associate Director of the Centre for the Study of Learning and Performance. He has published widely on cognitive psychological issues in second language acquisition and functioning in adults.